Work carried out: Survey, negotiations with English Heritage, Local Planning Dep’t and Baptist Union, proposal for phased works involving special craft and modern technical skills in stone masonry and glass. 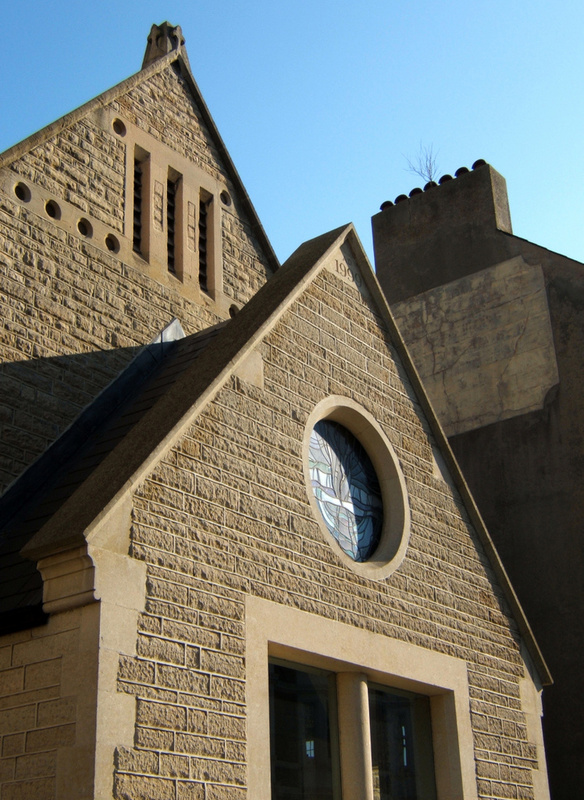 The church had been a prominent Grade 2 Listed landmark for some years in a central location and only a short distance from the sea, but had reached a point where significant refurbishment would be required and some updating. 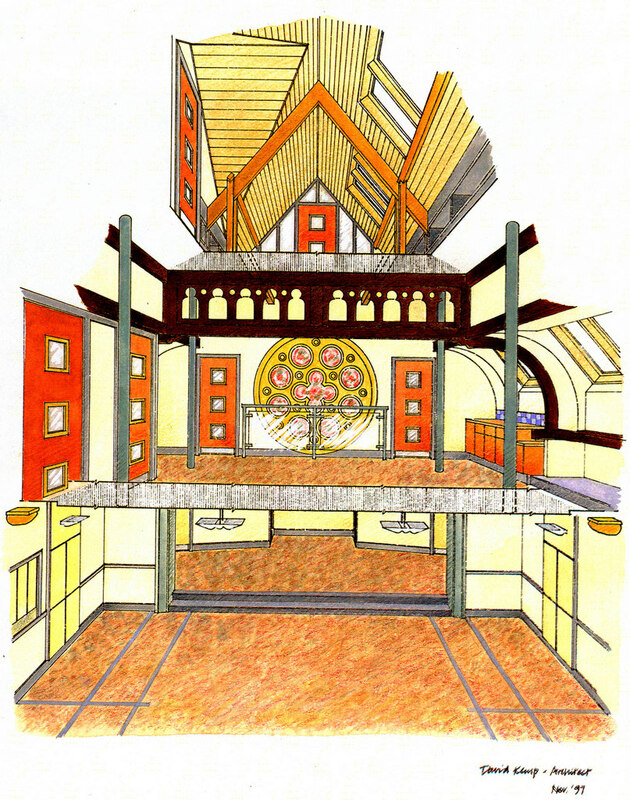 This work was to include new visitor friendly and disabled access arrangements to the Hall, additional facilities for Children, new Kitchen and new WC’s at the South end within the Hall and a flexible seating arrangement in the Main Worship Space with accommodation for administration at the North end. 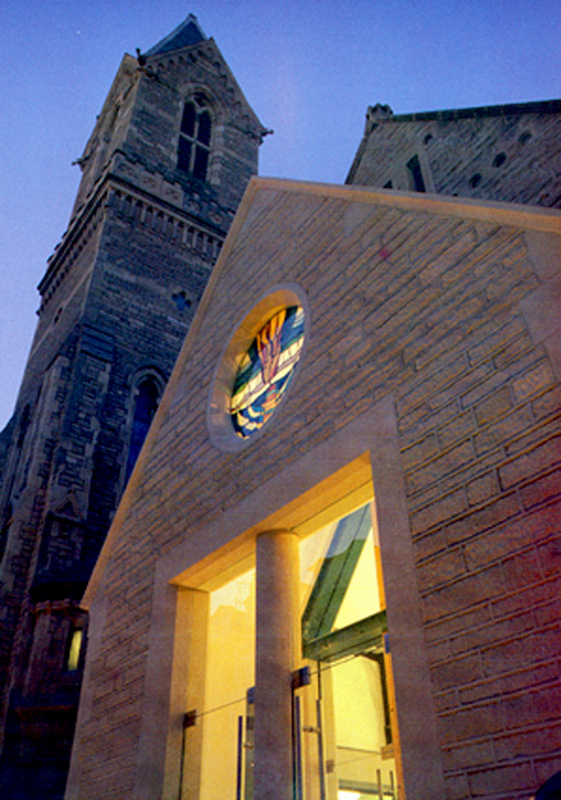 The Porch is an entirely new element using the same stone motifs as on the host building, but interpreted in a contemporary way including the fully external glazed doors and inner double height glazed panel incorporating a sand blasted art design with glass doors. 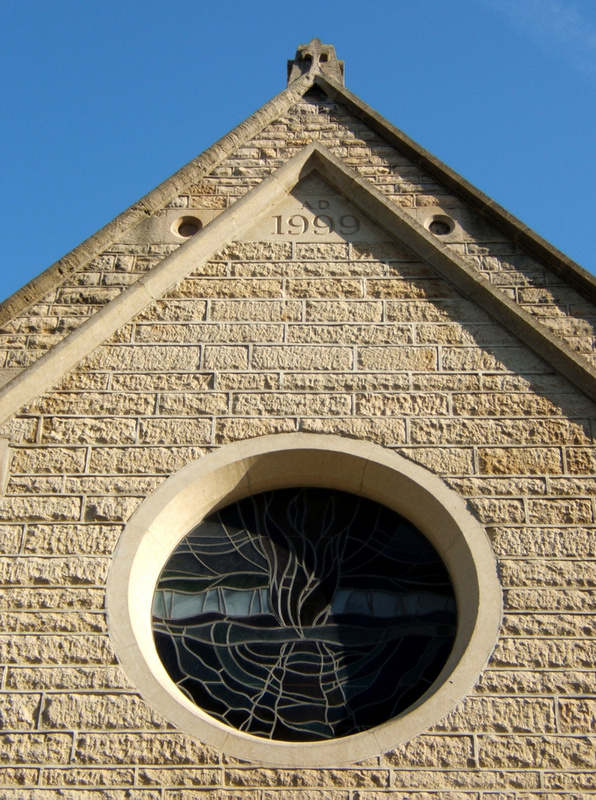 There is also a large roundel stained glass window designed in collaboration with an artist and stained glass craftsman. 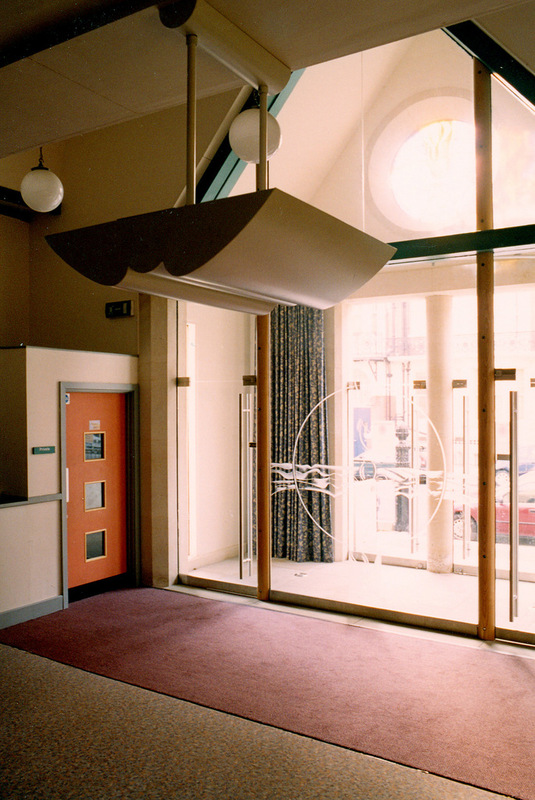 The Hall has a large Ground Floor social area and stage area formed with a mezzanine floor inserted which produced a room for Children’s work and other meetings, with a rear extension containing a crèche and the top floor in the converted roof for teenagers. The Main Worship Space was levelled so that loose seating could be used flexibly for different events. The ceiling had to be repaired and new lighting installed. The Tower space needed urgent repair works to secure the large slate louvres in the bell chamber. A Cottage attached to the site was also reconfigured and refurbished to form offices for Admin staff.